Abstract: Chris Fregly, Founder PipelineAI, will walk you through a real-world, complete end-to-end Pipeline-optimization example. We highlight hyper-parameters - and model pipeline phases - that have never been exposed until now. While most Hyper-parameter Optimizers stop at the training phase (ie. learning rate, tree depth, ec2 instance type, etc), we extend model validation and tuning into a new post-training optimization phase including 8-bit reduced precision weight quantization and neural network layer fusing - among many other framework and hardware-specific optimizations. Next, we introduce hyper-parameters at the prediction phase including request-batch sizing and chipset (CPU v. GPU v. TPU). We’ll continuously learn from all phases of our pipeline - including the prediction phase. And we’ll update our model in real-time using data from a Kafka stream. Lastly, we determine a PipelineAI Efficiency Score of our overall Pipeline including Cost, Accuracy, and Time. We show techniques to maximize this PipelineAI Efficiency Score using our massive PipelineDB along with the Pipeline-wide hyper-parameter tuning techniques mentioned in this talk. Bio: Chris Fregly is Founder at PipelineAI, a Real-Time Machine Learning and Artificial Intelligence Startup based in San Francisco. He is also an Apache Spark Contributor, a Netflix Open Source Committer, founder of the Global Advanced Spark and TensorFlow Meetup, author of the O’Reilly Training and Video Series titled, ""High Performance TensorFlow in Production with Kubernetes and GPUs."" 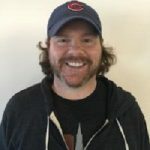 Previously, Chris was a Distributed Systems Engineer at Netflix, a Data Solutions Engineer at Databricks, and a Founding Member and Principal Engineer at the IBM Spark Technology Center in San Francisco.